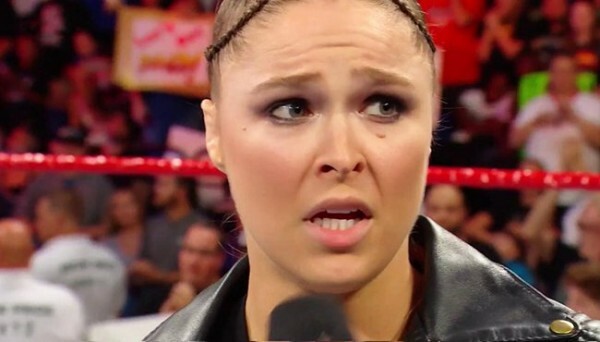 – Ronda Rousey says she doesn’t quite get how WWE went about deciding who would be in the Women’s Tag Team Match Championship match at Elimination Chamber. In a new video posted to her YouTube channel (per Ringside News), Rousey broke down the match that will determine the inaugural champions and wondered why she and Natalya weren’t getting a shot. There seems to be a lot of inconsistency in the selection, you know,” she said. “Some of the people on Raw had to have matches to qualify for the tag team match at Elimination Chamber and then Sonya and Mandy just had to declare for it. I dont understand how they can just declare, but we cant just declare? She then said, Who took our declarative rights away? before chuckling it away and concluding, It is what it is. Rousey has another match at Elimination Chamber, namely a Raw Women’s Championship defense against Ruby Riott that she is a heavy favorite to win.